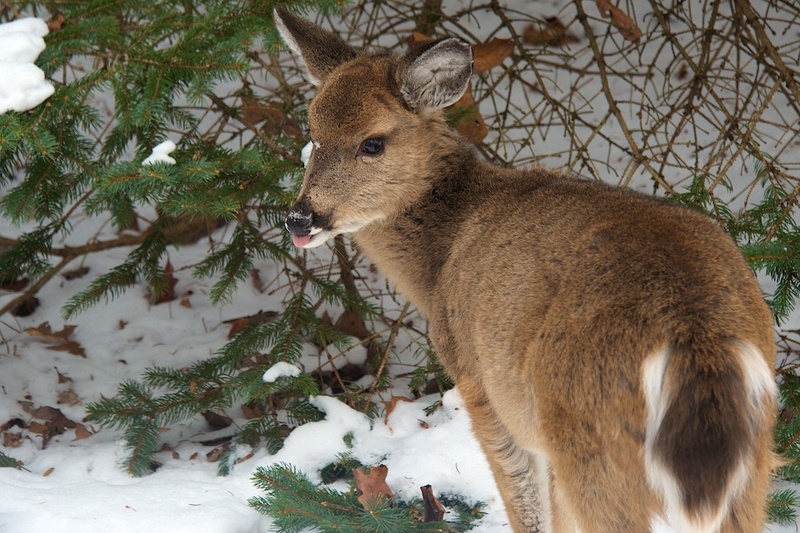 There are nineteen (that’s right — nineteen) deer currently walking around my yard. They have no fear. This youngster looks like some kind of freak cross between a deer and a sheep. It’s a sheer. Or a deep. Or.. Well, I’ll keep working on that. This entry was posted in Uncategorized on January 25, 2014 by Scott.